A2 Hosting VS SiteGround: There's a Clear Winner! 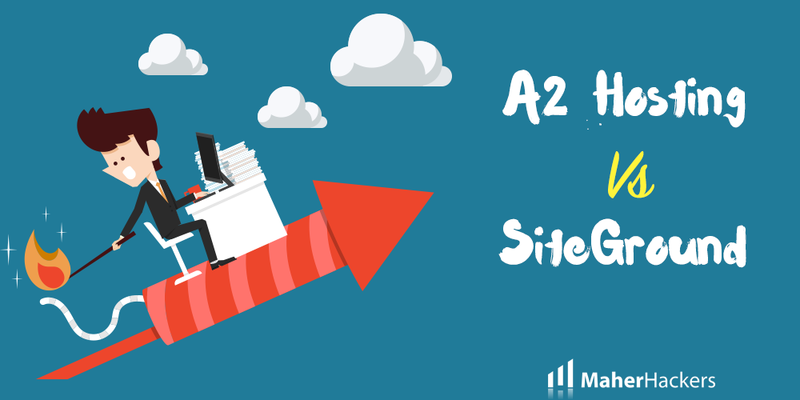 A2 Hosting VS SiteGround: There’s a Clear Winner! Looking for a good web hosting but can’t decide which is the one to choose between A2 Hosting vs SiteGround? This comparison will help you decide if you are better off with A2 Hosting or SiteGround. It is an uphill task when deciding between two high ranking hosts. More especially when they have the same industry experience, has numerous customizable options, has 99.99% uptime among other features. 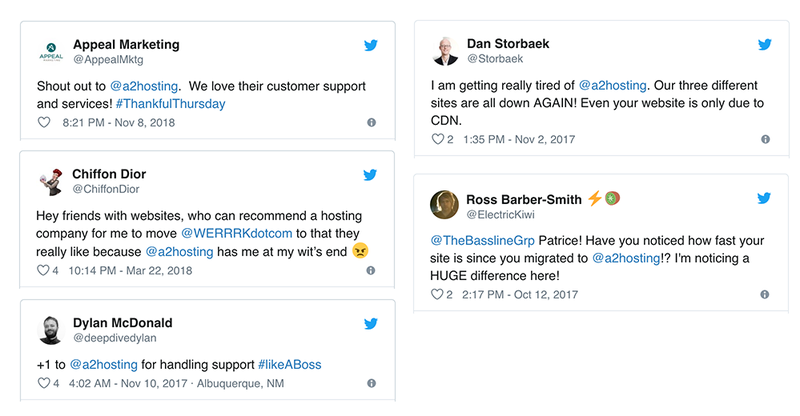 Both hosts, A2 Hosting and SiteGround, offer high-powered and comprehensive web hosting solutions for both experienced and newbie web owners. Both companies have packages which come with optimized WordPress tools, 24/7/365 customer care, Amazing loading speeds and much more. So it’s a hard task to choose between the two. Therefore, whether you are a reseller, blogger or want to host your business online, these are some things that you should consider. It is paramount that you look at each company separately, understand their technical support, your speed needs among other factors then select a hosting company that will meet your needs. Most people are looking for a good Shared hosting which fits their budget and provides quality hosting. Both SiteGround and A2 Hosting offer shared hosting plans at affordable prices. The following is a review of A2 Hosting Vs SiteGround Hosting. Let’s see which one provides superior hosting services. By the end of this article, you’ll know which host is good enough for your needs. Whichever host you choose, we’ve got you exclusive deals from both the hosts. A2 Hosting was founded in 2003 and it is based in Michigan. It has since been ranked highly by numerous sources. Some of the features that make it stand out are high speed, unlimited bandwidth, and unlimited disk space. SiteGround was started in 2003 as well in Bulgaria by IT professionals and former lawyers. It comes with a number of web hosting options including exceptional customer care, speed, unlimited bandwidth and award-winning services to mention just but a few. On one hand, SiteGround has been ranked by many customers and reviewers as a top-notch hosting company. It is more expensive as compared to its A2 hosting counterpart but you get services worth every penny you pay. Apart from their fast speed, amazing support, properly distributed servers, and golden customer care. They reply to emails within a short time and they do not put their phone calls on hold. A2 hosting, on the other hand, has some complaints about their customer service. The comparison between A2 Hosting Vs SiteGround Hosting takes into consideration their performance, features, cost, pros and cons among other factors so that you can be able to select one of the two hosting companies. Speed is the time a website takes to fully load a page on a computer or mobile. A2 Hosting uses a SwiftServer with a high performance which allows them to offer the Turbo package. The Turbo enables their servers to load up to 20 times faster. Besides that, they have fewer users per server hence there are more resources that are allocated per account. Most of their hosting packages come with drives which enhance the performance per minute. SiteGround, on the other hand, has solid state drives in all their hosting plans which enhances the speed. They also use the most recent features such as free CDN, NGINX, PHP7, HTTP/2. These features greatly increase the performance of their web server. A2 Hosting has different hosting plans and each plan has its price per month. 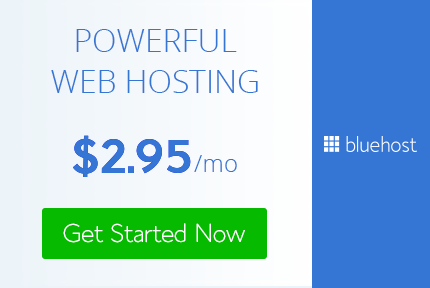 • Shared hosting – it starts $7.99 per month. However, if you have a coupon code, the price comes down to $3.92 per month. • VPS hosting plans start from $5 per month. • Reseller hosting package starts $19.99 per month. But with a coupon code, the price comes down to $13.19 per month. • Dedicated hosting plan costs $119.99 without a coupon code and $99.59 with a coupon code per month. SiteGround hosting is pricier but it has been noted that their services are worth every penny you pay them. (i) Shared hosting plan – this plan is regularly charged at $9.95 without coupon code and $3.95 per month with a coupon code. (ii) Cloud hosting plan which costs $60 per month. (iii) Reseller hosting plan – a full year hosting which has 11 credits costs $42 per credit. (iv) Dedicated hosting – for all their US dedicated hosting package costs $229 in a month. You can reach A2 hosting via email, tickets, online chats or phone calls. Their customer support is available 24/7. Their technicians are friendly and knowledgeable. However, there have been numerous complaints about their staff taking a long time to respond to emails and putting their phone calls on-hold. SiteGround, on the other hand, has been ranked as the best company with top-notch customer support in the whole web hosting industry. Their staff is available every second for instant online chats, instant phone call response with no on-hold and responding to emails and tickets within less than 10 minutes of contacting them. As you can see in the images below, A2 Hosting is not as good as SiteGround when it comes to Hosting Support. SiteGround is the best when it comes to web hosting support. A2 hosting has privately-owned servers in 3 different locations i.e. Singapore, Amsterdam, and Michigan. With these servers, they pride themselves with 99.99% uptime. This uptime ensures that there is minimal downtime. Apart from that, from each of these servers, they perform download and upload speeds. SiteGround openly displays their uptime in real time which allows you to know their real uptime data. SiteGround also boasts of uptime of 99.99%. They have servers in several locations which include London, Chicago, Singapore, and Amsterdam. They have the up to date software which minimizes downtime by offering automated real-time detection. In addition to that, their software offers automatic reaction in case of a downtime. Their software is capable of resolving more than 90% of their server performance automatically and instantly without any human interaction. SiteGround is the leader in the hosting space. It has impressive overall hosting services. They offer a wide range of web hosting features such as free Cloudflare CDN, unlimited MySQL databases and bandwidth, and cPanel with SSH access among other features. (i) Dedicated hosting – If you are looking for a limitless server that you can access easily then look no further than SiteGround. They have their servers in 3 different continents i.e. Europe, US, and Asia. Their dedicated hosting comes with 24/7 proactive uptime monitoring, free Cloudflare CDN and IP tables on your firewalls, private DNS server setup, 5 free IPs and Softaculous automatic installer among other features. (ii) VPS Hosting – In the VPS hosting category, SiteGround has an upper hand as compared to other hosting companies. They have their own privately built cloud platform. It is more scalable as compared to the traditional VPS. When you use their VPS hosting plan you will enjoy a dedicated IP address, Git installer, SuperCacher, 1 click installation for their CMS, daily backups, free Cloudflare CDN and fully managed cloud hosting with super fast performance. (iii) WordPress Hosting – Are you looking for a WordPress compatible hosting? 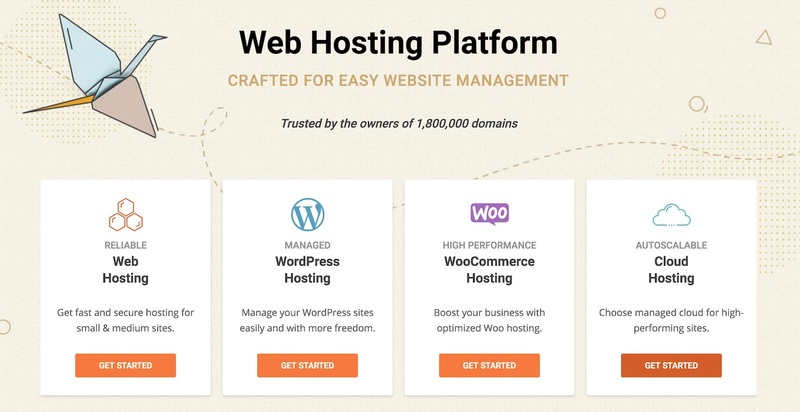 SiteGround has all the features that you need for the proper functionality of your WordPress. Starting from the essential features such as free site transfer, free emails, cPanel licensing, 1 click install for the popular CMS. All these are meant to make it easy, simple and friendly for your WordPress to be up and running within a short time. SiteGround is endorsed officially by WordPress.org as the top tier host for WordPress. A2 Hosting is a worthy competitor in the hosting industry. They also have a number of features which make them stand out. They offer perpetual security which has a hack scanning software. A2’s proactive security features ensure that their site prevents hacks, a dual firewall protection, and virus scanning and site defense. (i) Dedicated hosting – They have two types of dedicated hosting packages. Depending on hosting needs, you select either flex dedicated hosting plan or managed dedicated hosting plan. With the flex dedicated hosting, you get to enjoy administrator-level control and Linux operating system. In addition to that, you will get 24 hours 7 days a week and 365 days a year server maintenance and monitoring for your hardware. Under the managed dedicated hosting plan, you will get a comprehensive server management by A2. This plan is pre-configured and it has a cPanel for user control. (ii) VPS Hosting – Before upgrading from their shared hosting to VPS hosting package, A2’s Turbo server gives you some stellar VPS hosting options. Under this hosting plan, you will enjoy features like Turbo Cache and TurboVPS which increases your page load time by up to 20 times, security with free hack scan, daily backups, free Cloudflare CDN, automatic installation with Softaculous software and 24/7 site security to mention just a few. (iii) WordPress Hosting – Under this plan, A2 hosting will help you launch your web using your choice CMS such as Joomla, WordPress, Drupal among others. You will also get to enjoy free hack scan, A2 optimized WordPress plugin for super performance and security, SSL certificate, SSD speed boost, 1 click WP installation, free Cloudflare CDN, optimized caching, customer support among other benefits. Would you like to build your own website but you do not know where to start? Both companies offer site building tools. Both companies provide easy installation of WordPress, Joomla, Drupal, etc. and also provide unique site builder tools. So even newbies can create a professional website without the need to hire a developer. SiteGround provides a free website builder which is very easy to use and newbie-friendly. From the very beginning, you will get unparalleled customer support, whether you want to transfer your web from another host or you are a newbie and want to start from scratch. SiteGround has numerous free features and add-ons to enable you to build your web easily whether it is Joomla, Drupal, Magento or WordPress without any stress. You will also enjoy staging options which makes it easy to test and make changes to your site. They also have a SuperCacher which comes with four different caching options such as dynamic and static content. Apart from that, you can allow the Git to be installed which will help you to control your version and revise the history. Most importantly, SiteGround has free daily backups. And if you are using their Growbig or GoGeek hosting packages, you will receive up to 30 copies of backup daily. No other hosting company can do this. On the other hand, with A2 Hosting, you will get many tools for website building, launching and running. 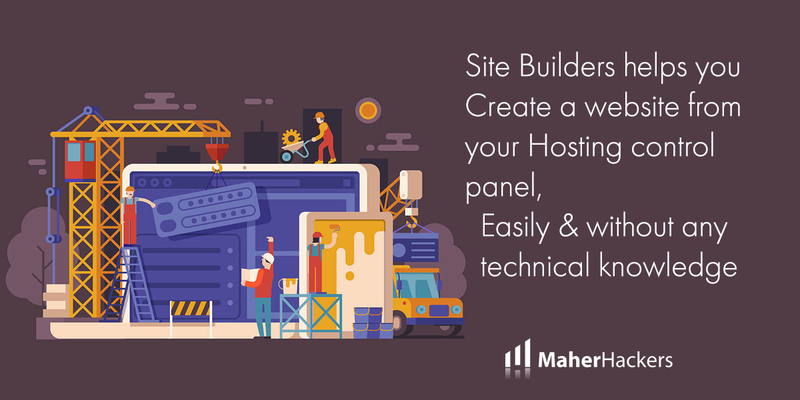 All their plans come with the cPanel which allows you as a user to access all the website building tools and one-click installation. From A2’s cPanel, you can be able to build all apps, CMS, e-Commerce features in very simple and one-click installations. A2’s cPanel gives their users all the tools they can use to build any website in a very simple and secure manner. They also offer perpetual security such as hack detection, virus scanning, brute attack defense, spam protection among other enhanced security features. You will also enjoy Softaculous one-click installation, optimized caching, Turbo server, free Cloudflare CDN, optimized security features and 24/7/365 customer care support. A2 Hosting shared hosting plans starts from $7.99 normally. But you can get it from $3.92 per month if you buy hosting for 36 months. SiteGround shared hosting plans starts from $11.95 per month. Customer care – when it comes to the hosting industry, SiteGround has the best customer support. Their support is provided via email, chat tickets and phone calls. They usually respond to emails within 5 minutes. That is not all; their phone service is not put on hold, which is very rare in the web hosting industry. Their chat support responds quickly. Most importantly, their staff is helpful and very friendly. They will guide you through till your problem is solved. Uptime – SiteGround guarantees a 99.99% uptime. They are ever open and transparent about their uptime by openly displaying it. They have more than one data center. This allows you to select a server that is near to you which in turn increases the speed. They also use the SSD servers which are faster as compared to the traditional disks. Apart from that, they use the special cache program which generally enhances the speed and performance of a website. Scripts and control panels – SiteGround is known to use standard built control panels. Besides that, they use Softaculuos for their script installation. This script is fast and user-friendly. Moreover, it has more than 400 scripts. This makes it easy to install CMS and WordPress. Bandwidth and disk space – they have specific limits on their bandwidth and disk space. This is a good thing. When you know the limit it helps you not to worry about your resources. Their disk space starts from 10 – 30 GB depending on the plan that you are using. They give a bandwidth depending on the estimated number of visitors you get on your site per month. Their least plan allows you to have 10,000 visitors per month and the biggest is 100,000 visitors. They have numerous developer-oriented features such as Git installation, WordPress staging and so on. Free web migration. You can move your site from another host to SiteGround at no cost. In addition to that, they offer unlimited domains mostly on their middle and above plans. Availability of free premiums features – SiteGround has features such as Let’s Encrypt SSL certificate, free Cloudflare CDN and daily backups. Most of these features are available in all their hosting plans. Prices – as compared to their A2 hosting counterpart, SiteGround charge higher rates. their starting shared host begins at $3.95 and $11.95 for their strongest plan. Besides that, for some hosting plans, they charge a startup fee before the hosting can be started. 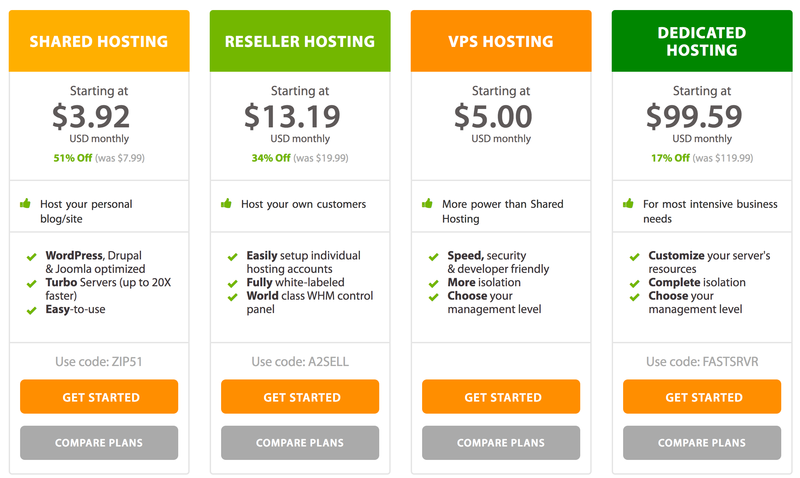 However, the shared hosting plan does not have a startup fee. Data limits – when they limit the bandwidth, there are high chances of going beyond the limit which can attract a penalty. If your site goes beyond the given bandwidth, it will lead to your site being frozen until the following month when the bandwidth will be reset again. Speed – A2 hosting has a fast hosting speed. Although it does not have the fastest speed it is ranked among the top 5 companies. A good speed is crucial for fast page loading. It uses specialized caches which improves the general web speed. WordPress Handling – despite the domain you are using, A2 allows you to install WordPress. This is good more especially for newbies. It is very easy to install hence making it faster to use. It has an A2 optimized WordPress installation. This has extra add-ons which automatically installs. cPanel and Script Installer – A2 hosting has a standard cPanel loadout which makes it user-friendly. They also use the Softaculous script installer which is the recommended cPanel installer. They also have numerous other scripts for installation such as Drupal and WordPress to mention just but a few. Disk space and bandwidth – their entry level plan have a 500 MB RAM while their middle plan comes with 1 GB and the biggest plan comes with 2GB RAM space. Perpetual security – all of A2’s hosting plans are covered by advanced security features such as server hardening, virus scanning, dual firewalls and so much more. Windows and Linux hosting – Unlike other hosts, A2 hosting offers both Linux and Windows hosting plans. Not many, including SiteGround, support Windows hosting. So if you require Windows hosting, then A2 has it! Upsells and Extra Costs – all of their hosting plans increase their prices double after the initial period. This is very unfair. In addition to that, they have uncountable upsells and other extra charges for features that are available freely with other hosting companies. Some of their upsells are as high as $20 per month. For their premium plans, they charge setup fees. Poor customer support – yes they provide 24/7 customer care but they have a long wait time. It can take up to several hours before responding to your email. Sometimes, during outages customer care is not available. Vague Promises – they have advertised that their resources such as disk space and bandwidth are unlimited but they don’t give a hard limit. Also, in their strongest hosting plan they offer a Turbo Boost for free but is available for sale with other plans. This feature is supposed to increase the speed by 20 times but it cannot be verified as true. Setup Problems – most of the instructions provided by A2 hosting are not comprehensive and clear hence they are confusing. For instance, they have advertised that their DNS pointing instructions are available on their site but their site indicates that the instructions will be sent to your email. This makes hard to set up or installs some features. As indicated earlier, this comparison was a close one. A2 Hosting and SiteGround Hosting are great web hosts to compare. Both companies have good uptime, prices and features. In some aspects, A2 Hosting is good. They have plenty of features and fast hosting speed but their vague promises and poor customer support kills it. But if you are looking for a top-notch hosting company that has superb customer support, speed and amazing services, then SiteGround is the best. In this write up about A2 Hosting Vs SiteGround Hosting, SiteGround is the winner. SiteGround is a better option even when compared to Bluehost. SiteGround consistently outshines A2 in all key areas. 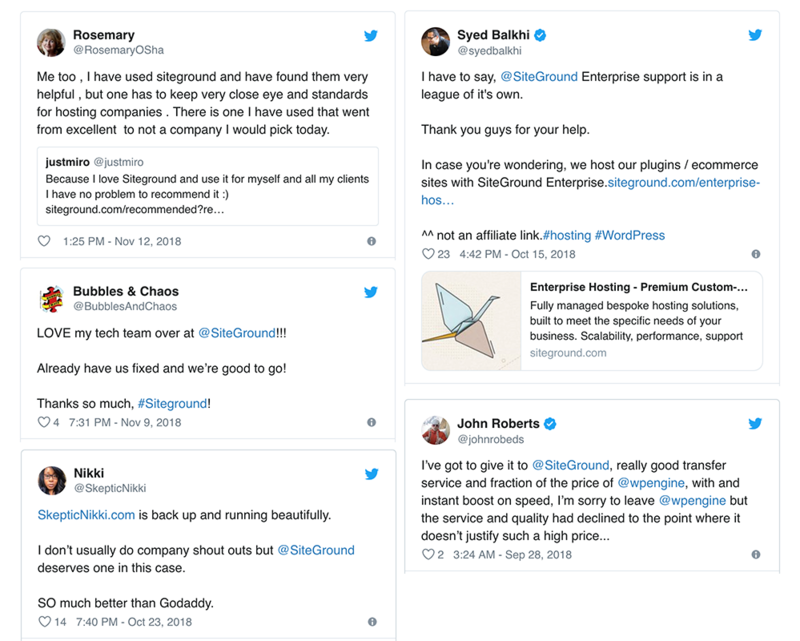 Not only does SiteGround has the best customer care in the whole hosting industry, but also they have wonderful features, good uptime and you get what you pay for. Therefore, if you are looking for the best hosting company, consider SiteGround and prove us right.